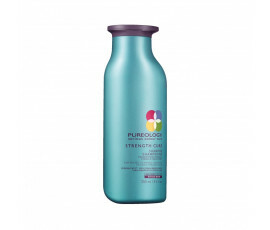 Pureology Strength Cure is a 100% vegan product line for colour-treated and/or natural, weakened and sensitized hair, that needs to be repaired from damages caused by chemical treatments. 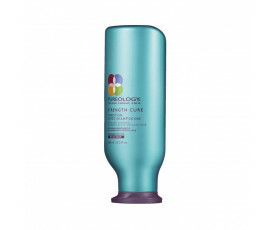 Strengthen your hair while enhancing your colour. 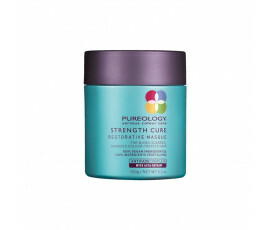 Enriched with AntiFadeComplex technology, Asta-Repair with powerful antioxidants and UVA/UVB filters, Chamomile extracts and Olive Oil, all Pureology Strength Cure products are sulfate-free; they repair while strengthening your weakened hair, leaving it 97% visibly and effectively stronger after just one use. This extraordinary line protects your hair colour while reinforcing the fibre, leaving it softer, fuller-bodied and brighter.